From George Preston Marshall's parade to Lawrence Taylor and Joe Theismann, here are the most notable moments in the history of the Giants' rivalry with the Washington Redskins. The Redskins and Giants met in the 1937 regular-season finale with identical 8-1-1 records and a spot in the NFL championship game at stake. 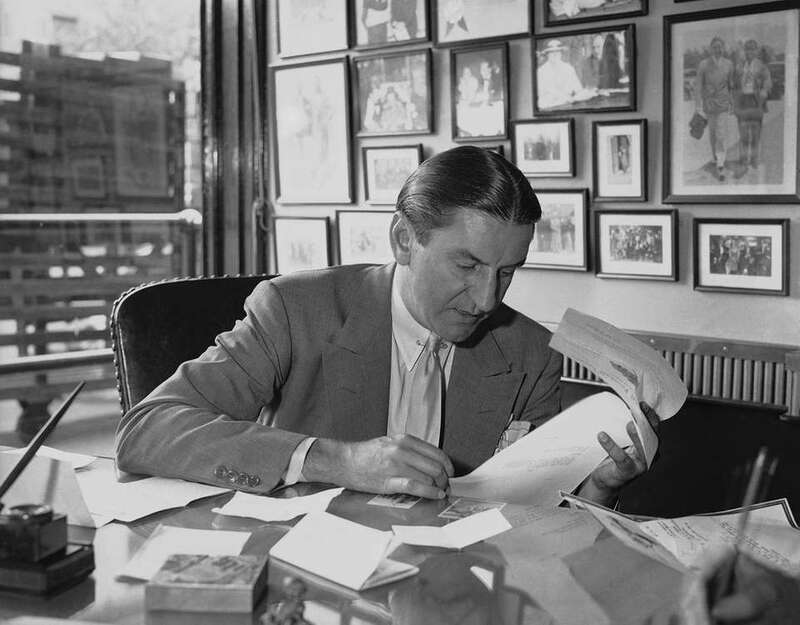 In a bit of gamesmanship, Redskins owner George Preston Marshall (pictured above) sent 12,000 fans and a 150-piece marching band to New York and held a parade through the city before the game, complete with the “Hail to the Redskins” fight song. The Redskins won the game, 49-14, and the NFL championship the following week. 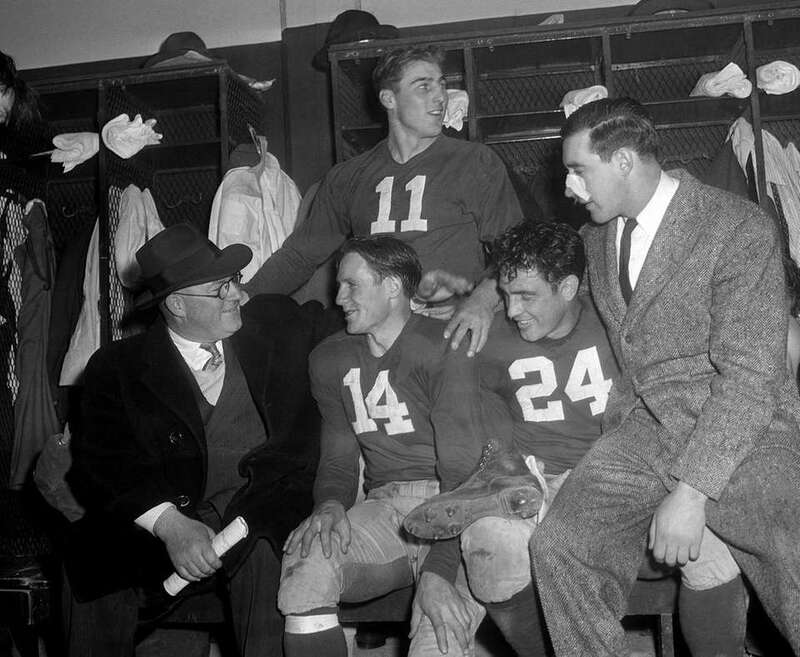 The Giants twice got their revenge on the Redskins in 1938. 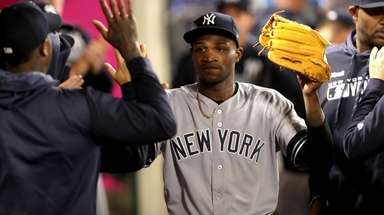 After beating them, 10-7, at Washington in October, the teams met at the Polo Grounds on Dec. 4 with the Eastern division title once again at stake. This time, the Giants shut out the Redskins, 36-0, to earn a spot in the championship game. Hank Soar and Bull Karcis each ran for first-quarter touchdowns, and Chuck Gelatka caught a touchdown pass from Tuffy Leemans and returned an interception 7 yards for the game’s final touchdown. 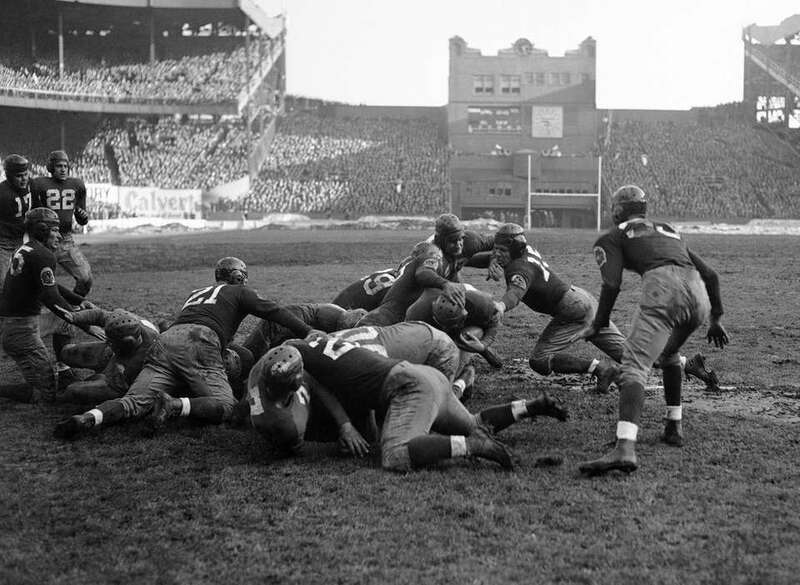 The Giants and Redskins played each other in the final two games of the 1943 regular season, with the Giants winning both. That gave both teams a 6-3-1 record and forced a one-game playoff for the Eastern division title. This time, the Redskins won, 28-0, as Andy Farkas ran for three touchdowns and Ted Lapka caught an 11-yard TD from Sammy Baugh. Washington lost the championship game to the Chicago Bears, 41-21.
he Redskins and Giants combined for an NFL-record 113 points on Nov. 27, 1966 in Washington. 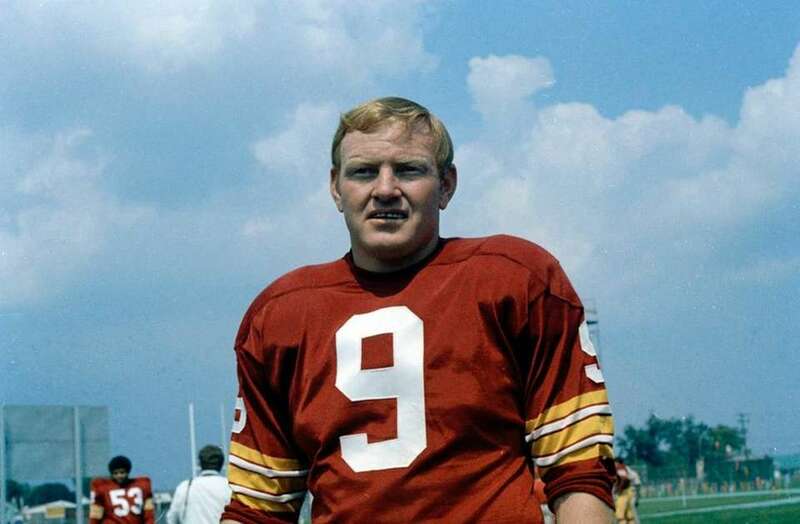 Sonny Jurgensen (pictured above) threw for three touchdowns, Brig Owens had a 62-yard fumble return and a 60-yard pick-six and A.D. Whitfield ran for two scores in the Redskins’ 72-41 win. The Giants actually outgained the Redskins in total yards, 389-341, but Giants signal-callers Tom Kennedy and Gary Wood combined for five interceptions. It’s a hit that lives on in sports history. Redskins quarterback Joe Theismann suffered a compound fracture of his right leg after Giants linebacker Lawrence Taylor fell on it during a sack in a Monday Night Football game on Nov. 18, 1985. A distressed Taylor got up and immediately waved for the trainers. Theismann never played again. 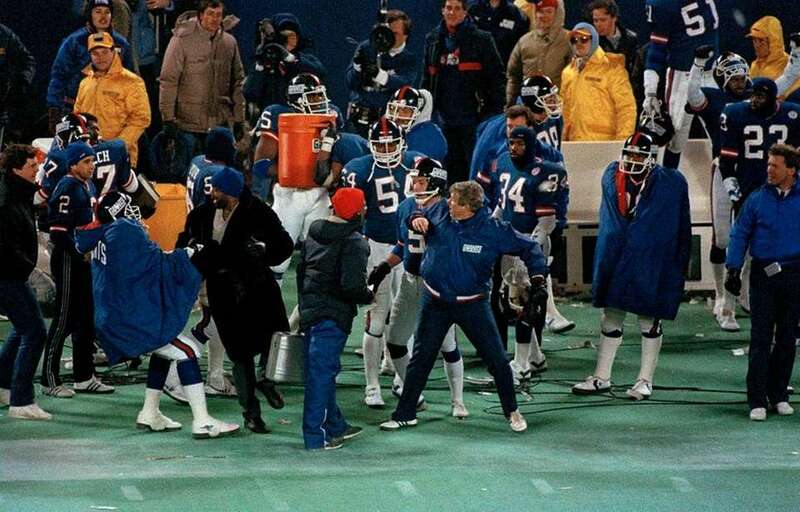 The 1986 NFC Championship game primarily is known for two things: Bill Parcells’ decision to take the wind on the opening coin toss, and the Giants’ suffocating defense. The Giants jumped out to an early lead with the wind at their backs, and the defense held Washington to 190 total yards in a 17-0 win. Lionel Manuel caught an 11-yard touchdown from Phil Simms, Joe Morris had a 1-yard touchdown plunge and Raul Allegre kicked a 47-yard field goal. 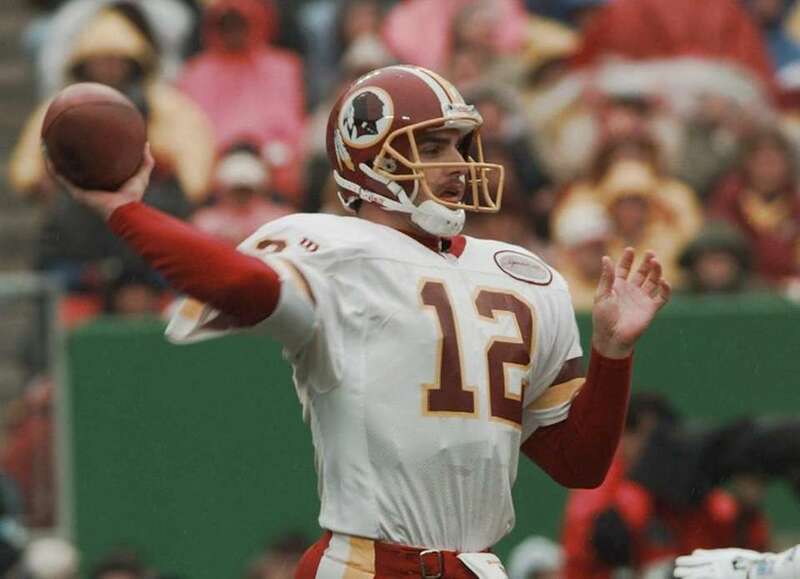 There are touchdown celebrations, and then there’s Gus Frerotte. 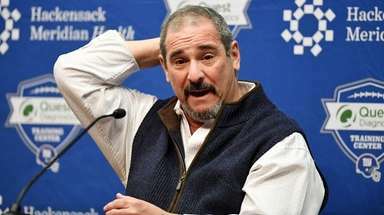 The Redskins quarterback celebrated a 1-yard touchdown run late in the second quarter of a Sunday night game against the Giants by ramming his head into the padded cement wall behind the end zone. 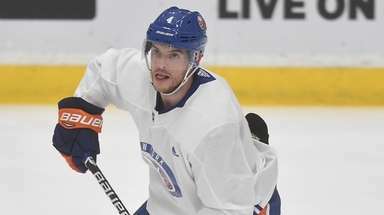 Frerotte sat out the start of the second half, but he did return to the game later on. 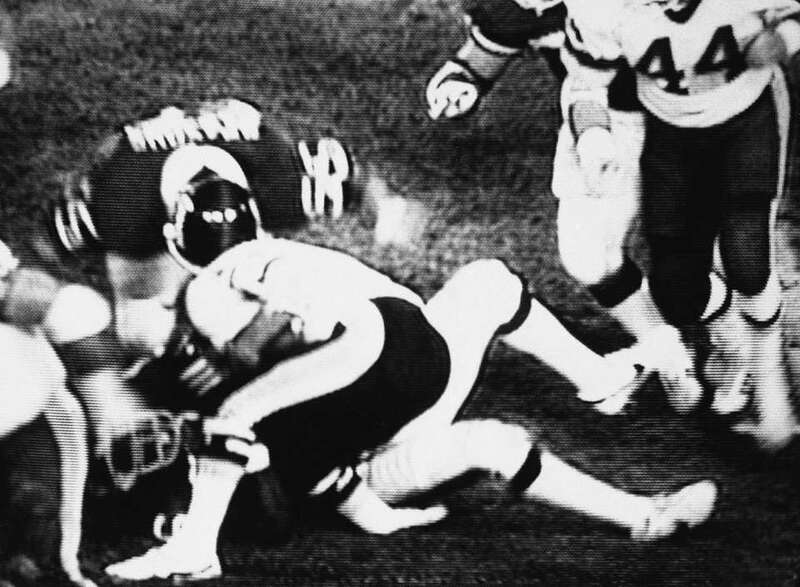 The game ended in a 7-7 tie, and Frerotte officially would be diagnosed with a sprained neck. Longtime Giants co-owner Wellington Mara died on Oct. 25, 2005, at age 89. Five days later, the Giants put on quite the performance in his memory. 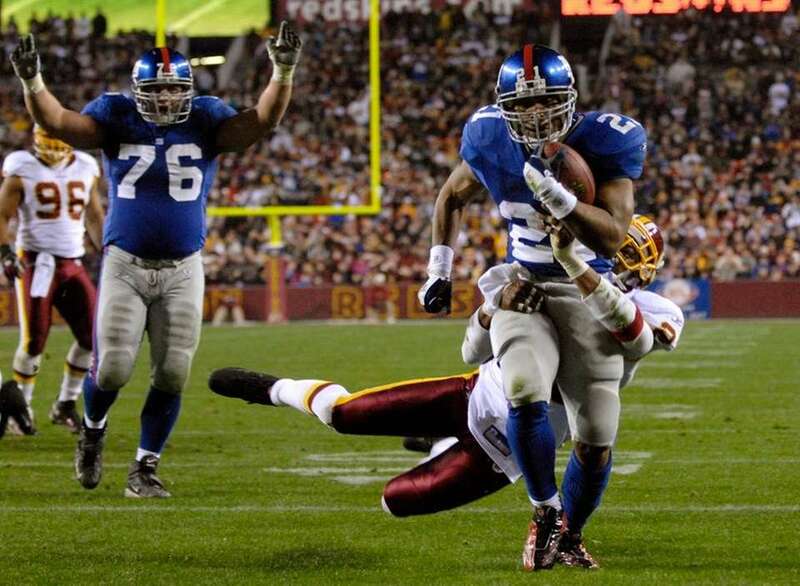 Tiki Barber rushed for a then-career high 206 yards and a touchdown on 24 carries and the Giants’ defense held the Redskins to 125 total yards in a 36-0 blowout. Tiki Barber had the game of his career in his final regular-season game -- and also got the Giants into the playoffs. The 31-year-old ran for a franchise-record 234 yards and three touchdowns on 23 carries in Giants’ 34-28 Week 17 win in 2006. Barber had two touchdown runs of 50-plus yards and also added a 15-yard score as the Giants snuck into the playoffs with an 8-8 record. He not only broke his year-old franchise single-game rushing record (220), but also broke the record for most rushing yards by a player in his final regular-season game. The previous record was held by Washington’s Cliff Battles, who ran for 165 yards in 1937 . . . against the Giants. 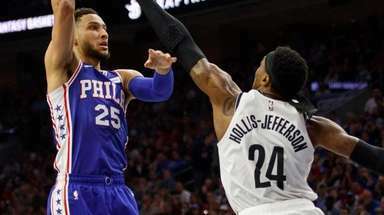 The Giants had allowed 80 combined points in the first two games of the 2007 season and were on the verge of losing their third straight game. But a goal-line stand in the final minute gave the Giants a 24-17 win, the first victory of their eventual Super Bowl season. The defense held Washington to 81 total yards in the second half, and Plaxico Burress had five catches for 86 yards and a touchdown -- all in the second half -- as the Giants came back from a 17-3 hole to win. The Giants first met Redskins rookie QB Robert Griffin III in Week 7 of the 2012 season, and after a late TD pass, it looked like Griffin had done enough to ensure the Redskins of a victory. But two plays and 19 seconds after RGIII had given the Redskins a lead on a 30-yard touchdown pass to Santana Moss, Eli Manning found a wide-open Victor Cruz on a seam route for a 77-yard score with 1:13 left to give the Giants a 27-23 win. 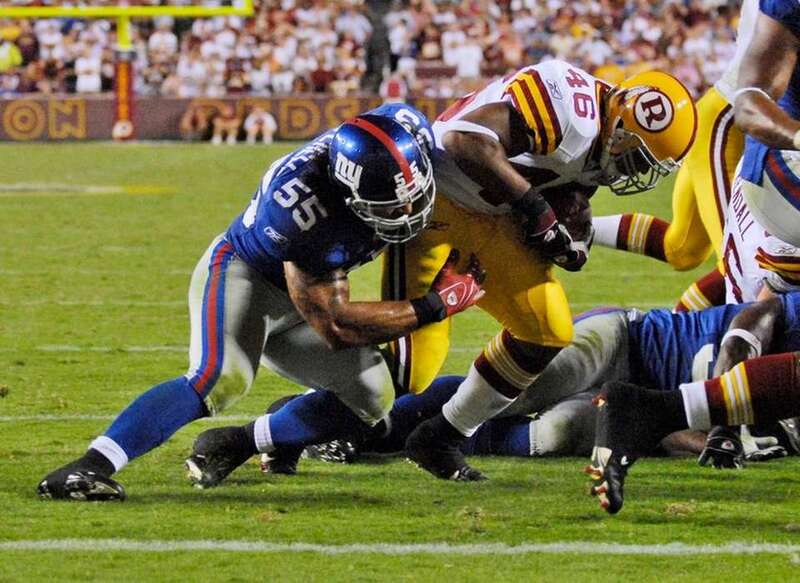 The Redskins were looking to extend their winning streak to three games during a Week 12 Monday Night showdown against the Giants at FedEx Field in 2012. It only took 10 minutes and 44 seconds to make it look like a Redskins win was destiny. Robert Griffin III lost the ball on a read-option play after picking up a first down, but Josh Morgan grabbed it out of the air and went the remaining 13 yards to give the Redskins an early 7-3 lead. The Redskins faced a 16-10 deficit entering the fourth quarter, but Griffin hit Pierre Garcon on an 8-yard TD with 11:31 left to give the Redskins a 17-16 win and continue their late-season surge to the playoffs. History of the Giants-Cowboys rivalryFrom Tom Landry's move to Dallas from New York to Eli Manning and Tony Romo dueling in the fourth quarter, here are some of the most notable moments in history of the Giants-Cowboys rivalry. 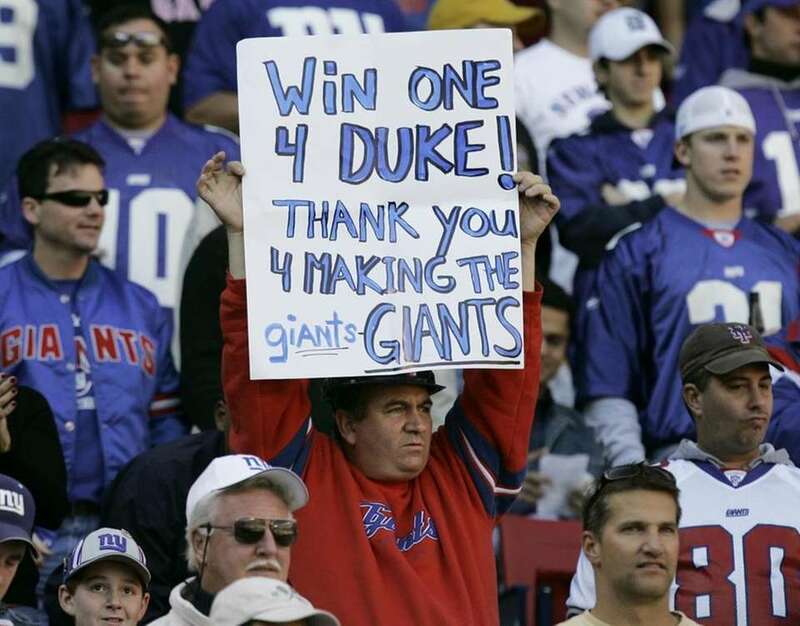 History of the Giants-Eagles rivalryMore than just the "Miracle at the Meadowlands" Worst seasons in Giants historyThe 16 double-digit loss seasons in Giants history.